Obituary for Stanton Maloney | Bermingham Funeral Home, Inc.
Jefferson Twp: A much loved husband, father, grandfather, son, brother, uncle and friend, Stanton Maloney passed away peacefully and unexpectedly at his home on November 21, 2018 with his loving wife of 57 years at his side. He was 77 years of age. Stanton was born to the late Joseph Maloney and Kathryn (nee Stanton) in Glen Ridge, NJ on November 27, 1940. He was the 11th of 12 children. He was raised in Caldwell and lived for a short while in Montclair before moving to the Oak Ridge section of Jefferson Township in 1963. Stanton was a self-starter and had a multitude of very varied jobs over his lifetime with his first job as a caddy at Green Brook Country Club in North Caldwell. He was a lifelong entrepreneur starting with the delivery of milk to homes, businesses and schools in the early 1960s. He opened the Valley Dairy store in Jefferson and Sussex to sell milk and other convenience items and successfully owned and operated these businesses for many years. Other interesting jobs included selling baby pictures door to door, cutting and selling brush and Christmas trees from his property in Vermont, delivering for RPS and Frito Lay. He held real estate and exterminator licenses. He owned and rented real estate for many years and retired early, at 55 years of age. During his retirement years, he further developed his passion for nature, flowers, birds, trees and the environment. He had a huge love for animals of all kinds. He fed the birds daily and loved his wood stove. 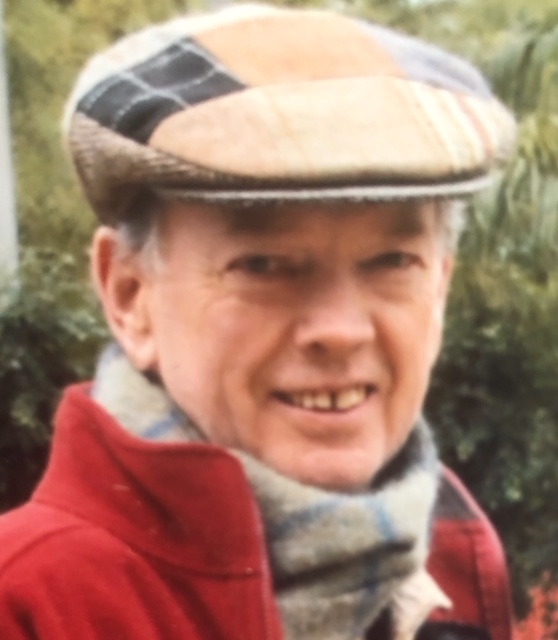 He primarily spent his days outside personally caring for flowers and trees and maintaining his properties in New Jersey, Vermont and North Carolina and walking the trails or beaches in the area with his wife and dogs. His passion and experience as a gardener of flowers and trees was shared with others when his yard was showcased for the Jefferson Township garden tour and others enjoy it daily as they walk their dogs. He was fiercely patriotic and a die-hard republican. He loved the learning TV channels, knew a little bit about everything and enjoyed sharing his views with those he met. He loved Barbara’s cooking along with a daily kale salad with chia seeds, introduced by his daughter Susan. He and his son, Michael were fans of hockey and MMA and they built the log cabin home in Vermont together using trees from the property. The weeping beech tree, given to his daughter Theresa as a wedding gift has thrived at their original home in Connecticut. He and Barbara were inseparable and traveled frequently. Stanton married his childhood sweetheart whom he initially met when she was 13 years of age. He was great at mental math and loved to make others think. When asked how long he was married, he responded to their question in months rather than years. All of his children and grandchildren should know by now how many hours are in a week. Stanton was a demanding but caring father providing numerous opportunities and experiences for his children. He was very charitable and generous during his lifetime to family, friends and animals. He planted 600 daffodils the week of his death and gave some of these bulbs to a friend to plant as a surprise for his wife in the spring. He was excited to plant the six maple trees that arrived on the day of his death. These will now be planted in his memory by his children and grandchildren. Stanton is survived by Barbara (nee Briggs), his three children, Theresa Chen, Susan Ames and Michael and five grandchildren, Christopher, Matthew and Eric Ames, Jessica (Ames) Snyder and Kate Chen. He is also survived by a brother, Thomas, two sisters, Kathryn Carew and Ann Clayton Lowe, and many nieces and nephews. A memorial service will be held 11am on Friday November 30, 2018 at the Freedom Church, 145 Oak Ridge Road, Oak Ridge, NJ 07438. Stanton’s ashes will be scattered later. He wishes to spend eternity among the trees on his Vermont property.